Marine week NAVAL & DEFENCE 2015 @ BEXCO has closed. This year's exhibition has been the largest since its opening. have demonstrated their latest weapons and technologies. 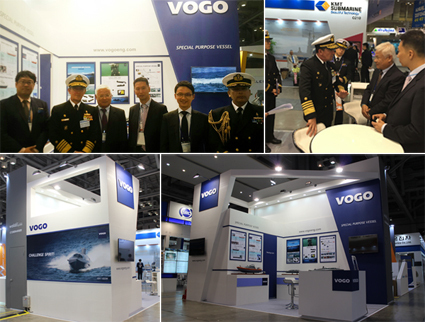 It was great opportunity for VOGO to show its new products and technology. We thank you for all delegations for visiting our booth.